Wilder v Fury – Big Fight Preview & Prediction. Heavyweights Deontay Wilder and Tyson Fury will go head to head this Saturday, Dec 1 at the Staples Center in Los Angeles. The melees that ensnared their three-city publicity tour will finally culminate in one of the most consequential heavyweight matchups in recent years, and arguably the biggest bout on U.S. soil since Lennox Lewis trounced Mike Tyson back in 2002. Everything about this particular fight is big to include the combatants when the 6-foot-7 Wilder (40-0, 39 KOs) meets the 6-foot-9 Fury (27-0, 19 KOs) in the squared circle. It’s a fantastic contest between two elite super heavyweights in the prime of their careers going to battle for Wilder’s coveted WBC belt. Wilder, 32, had a tough upbringing in the unforgiving streets of Tuscaloosa, Alabama. The ‘Bronze Bomber’ picked up boxing late as a 20-year old to support his daughter who was born with spina bifida – a spinal cord injury. Wilder will welcome a fifth child into his growing brood later this year. Despite his brief amateur stint, Wilder developed quickly winning bronze at the Beijing 2008 Olympics while representing the U.S. He turned pro that same year and has compiled an impressive 40-0 mark, stopping 39 of those opponents inside the distance. 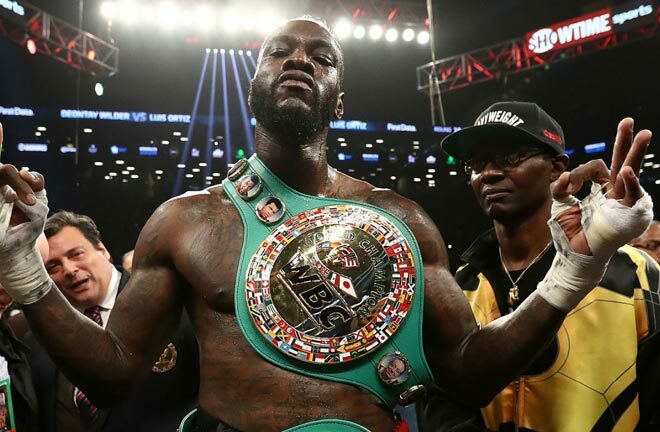 One critique continuously levied at Wilder has been the relative mediocre opposition he has faced on his way to the top with Bermane Stiverne and Luiz Ortiz representing his sternest tests yet. British fans are also sure to remember his devastating one-minute knockout of hapless Olympic gold medalist Audley Harrison in 2013. The self-proclaimed ‘Gypsy King,’ Fury comes from a family with deep Irish fighting roots. His father John Fury competed as a bare-knuckle fighter in the 80’s, his cousin Andy Lee is a former middleweight champion and another cousin Hughie Fury campaigns as a heavyweight. Named after boxing legend Mike Tyson, the now 30-year old Fury built up his pedigree as an amateur representing both England and Ireland. Fury has remained unbeaten since turning pro in 2008 and boasts arguably the more impressive resume of the two with quality wins over Kevin Johnson, Steve Cunningham and Dereck Chisora. 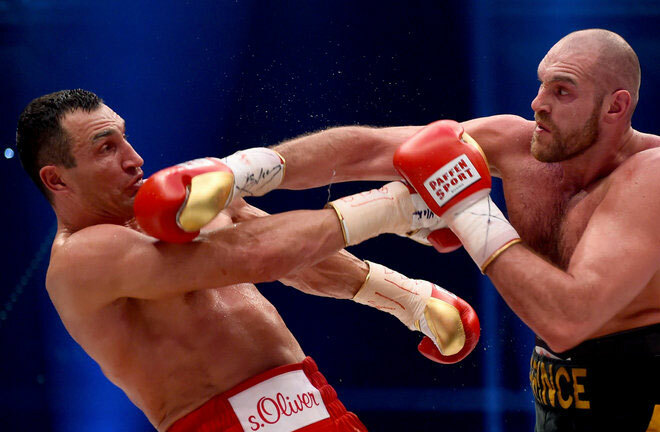 However, those victories pale in comparison to his epic points win over Wladimir Klitschko in 2015 to claim the WBA, IBF, WBO, IBO, Ring and lineal heavyweight titles. It became the most unexpected triumph in British boxing history. Fury has struggled mightily with personal and mental health problems since bagging the best win of his career. He’s failed a drug test; had his titles stripped; openly confessed to a cocaine addiction to help deal with depression; and has made deragotory comments on sensitive social issues like abortion, transgender and women’s rights. This is your classic boxer versus puncher variety. Fury is the superior overall fighter with incredible footwork and an uncanny ability to slip punches for a man of his mammoth stature. Fury’s no knockout artist like his opponent but doesn’t need to be either given his size, long jab and exceptional boxing brain which he puts to great use. Wilder is an unorthodox fighter with scary power in both hands, particularly the right hand. He is unbelievably fast and agile preferring to launch marauding attacks on unsuspecting opponents after he has softened them up. The Bronze Bomber will be dangerous for every minute of every round. Fury is the natural bigger man and will have a two-inch height and reach advantage over Wilder. The ‘Gypsy King’ will also outweigh his opponent by about two stones. It will be interesting to see how Wilder adjusts to the size differential given the fact that he’s fought smaller men throughout most of his career. The Irishman will almost certainly attempt to impose his size on the American and use the long jab to keep Wilder at bay not only in the early rounds but throughout the entire contest. 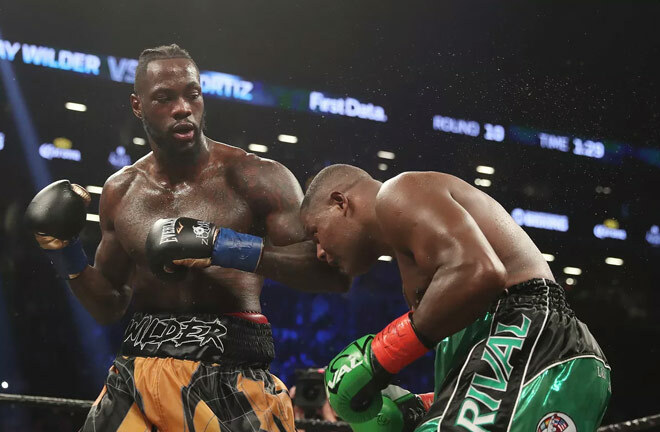 Wilder’s last scrap against Luis Ortiz addressed some key concerns but still left some question marks regarding his resiliency when faced with adversity. The tough Cuban had the champ nearly out on his feet in Round 7. However, Wilder demonstrated a strong chin and remarkable recuperative powers as he stormed back from the brink of defeat to score a 10th round TKO. Fury has an unshakeable self-belief that is just as imposing as his ring skills and great size. He proved that he can come off the canvas to win as he did against Cunningham in his US debut in April 2013. The mental health issues that forced Fury into a 2-year exile appear to now be in the rear view mirror enabling the former champion to focus instead upon reclaiming his titles. Wilder does not have the acumen to outbox Fury but has the withering power to end matters suddenly and will be a threat throughout the entire fight. It’s hard to see the American winning this one on points so his best chance comes inside the distance and preferably in the early rounds. 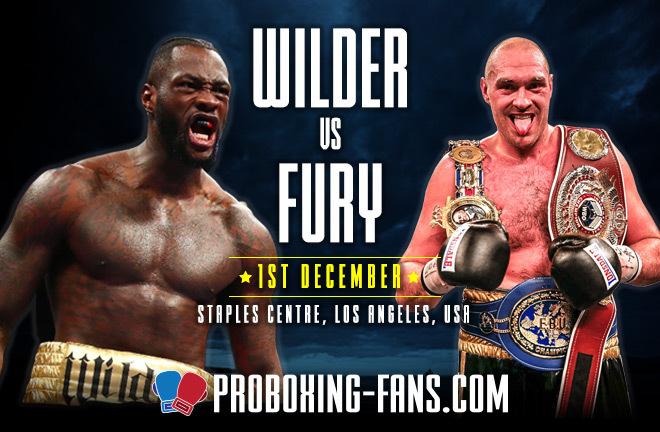 A fully focused Fury will easily provide Wilder with the sternest test of his career. So look for Tyson to try to extend the WBC champion and take him into deep waters in the late rounds, where his chances for victory rise exponentially. If Wilder has not found a way past Fury’s guard to unleash his power by the mid stanza, we could see a desperate man attempting to stave off certain defeat. Then again, Fury’s uninspiring comeback bouts and questionable fitness could be a setup for one of Wilder’s fight-ending overhand rights so the pendulum can swing either way. However, my gut indicates that this fight will not have an early finish. There will be plenty of gesturing and sizing each other up before the real sparks fly. Expect Fury to use his awkward, herky-jerky style of fighting with constant head and hand movement to neutralize the sport’s deadliest right hand in yet another tectonic shocker.